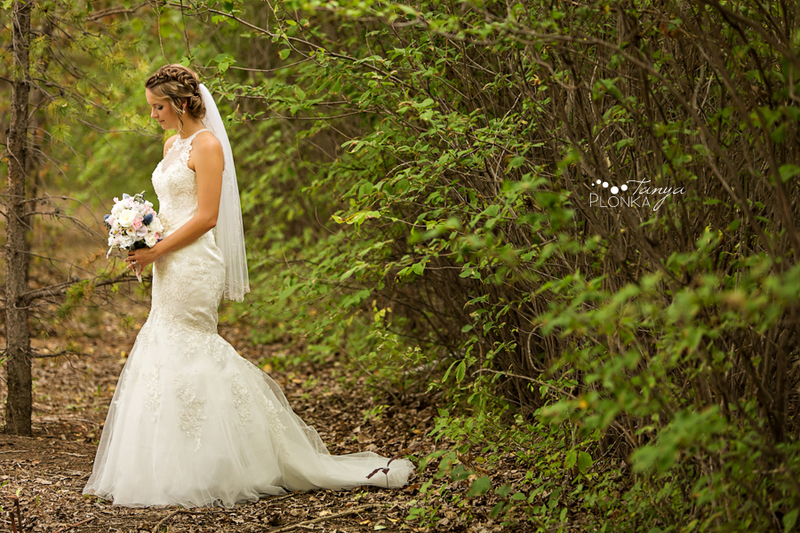 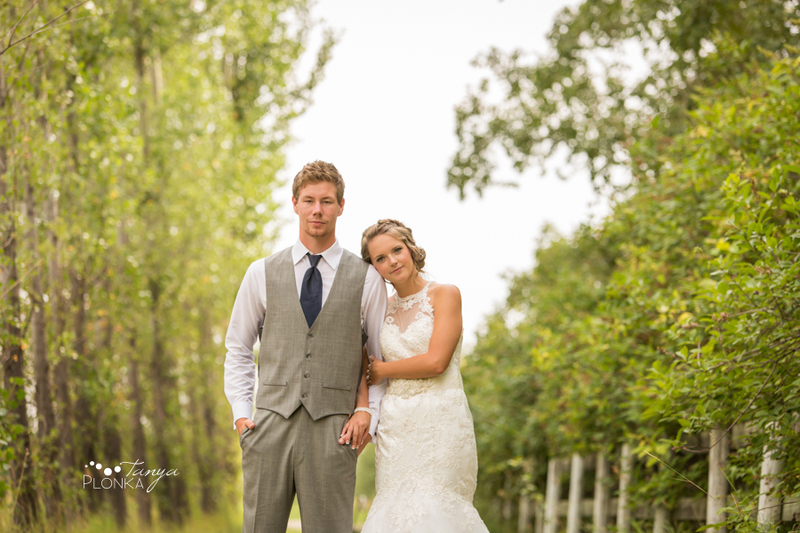 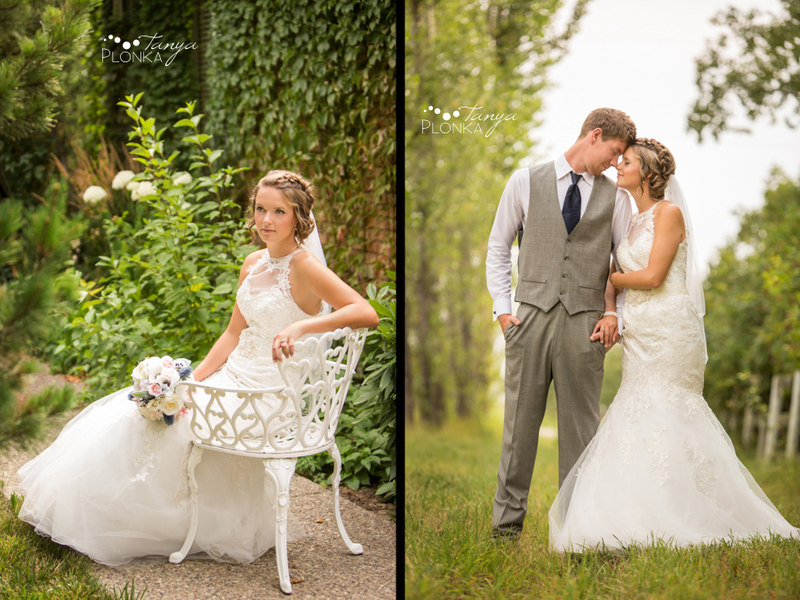 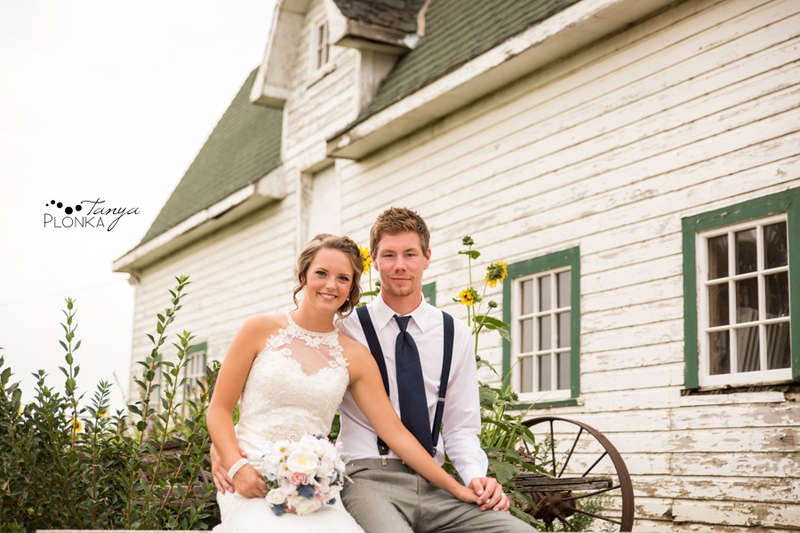 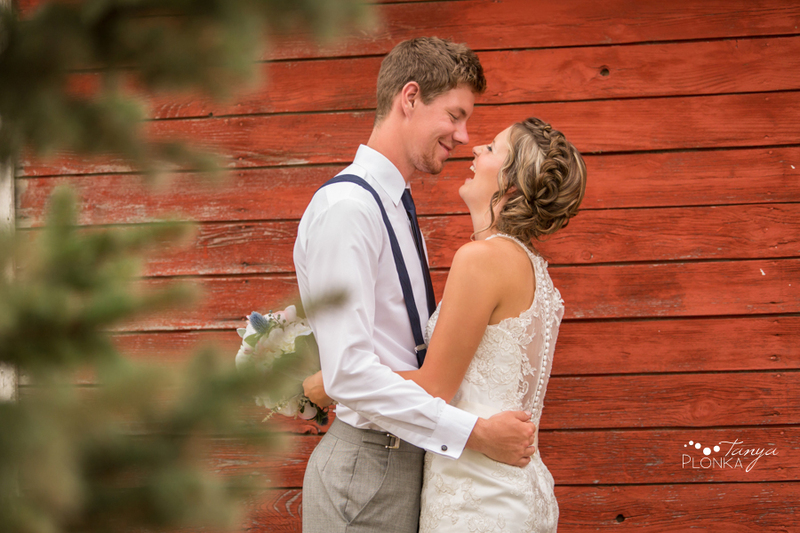 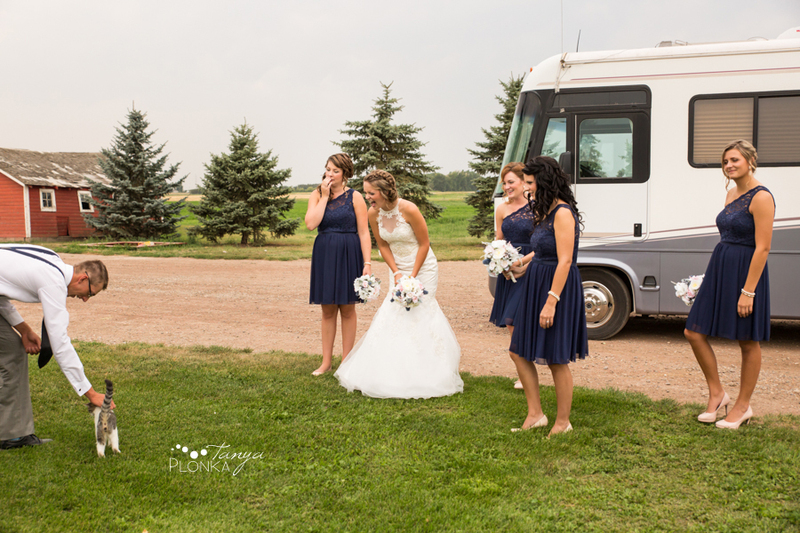 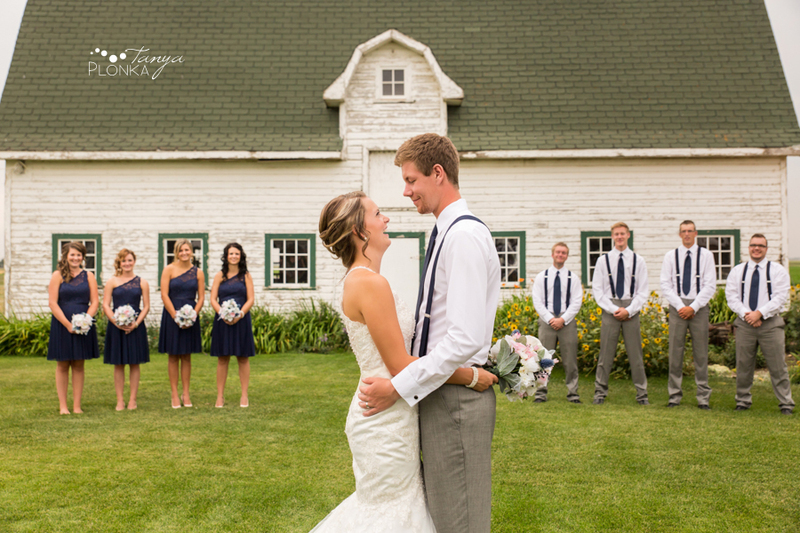 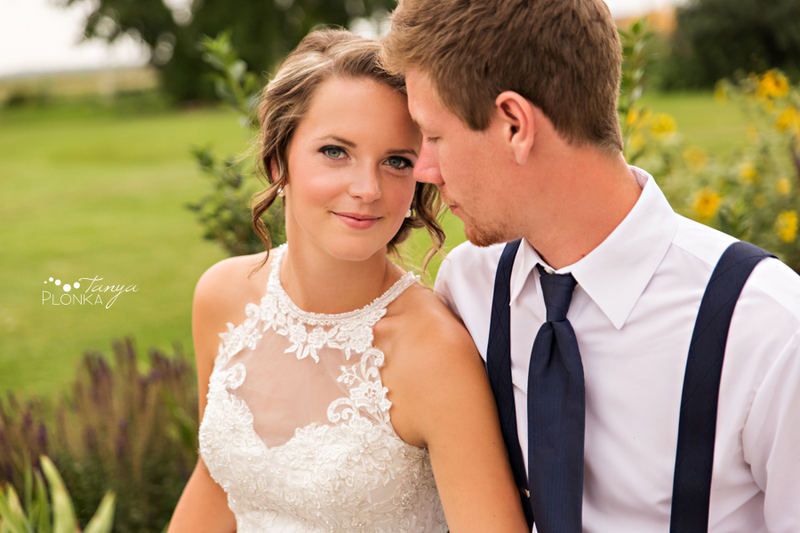 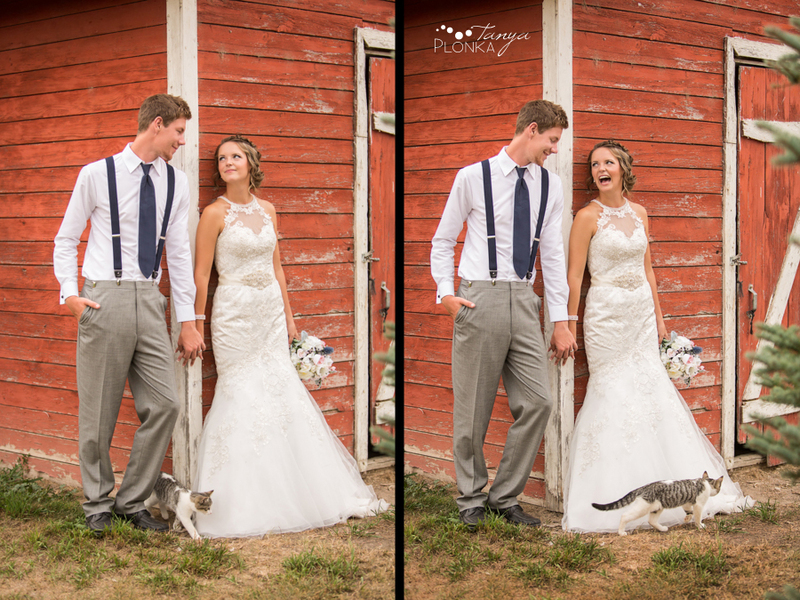 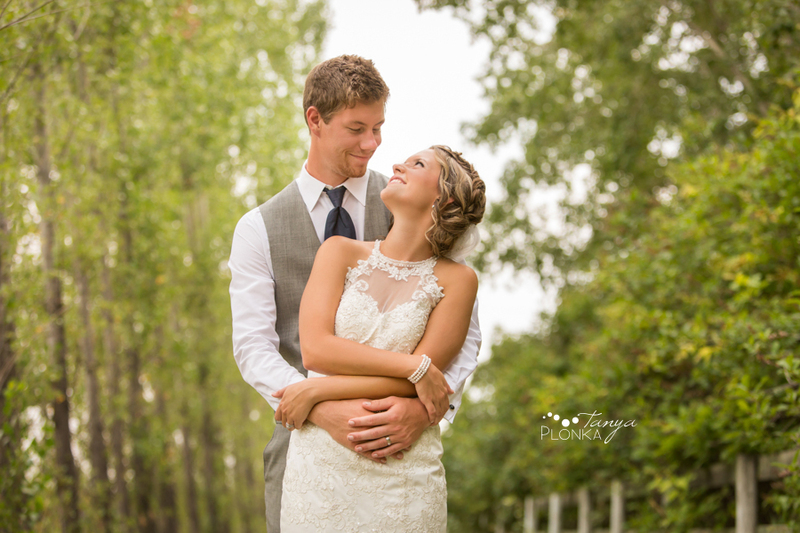 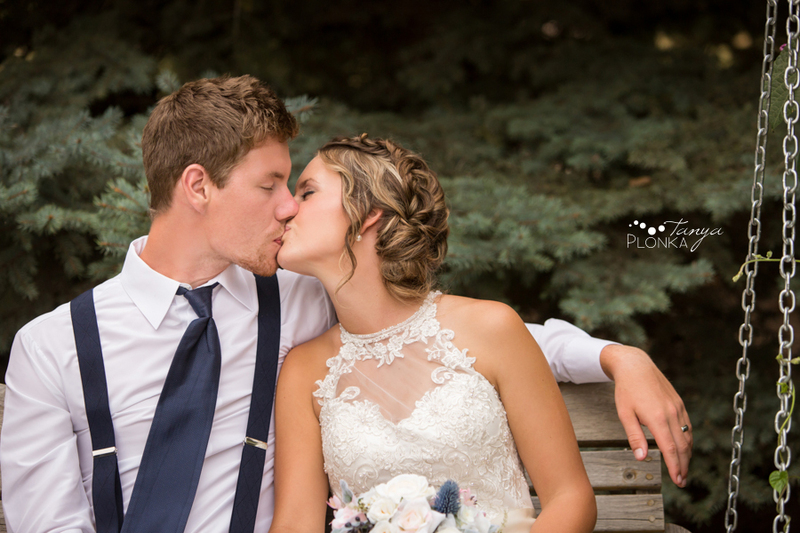 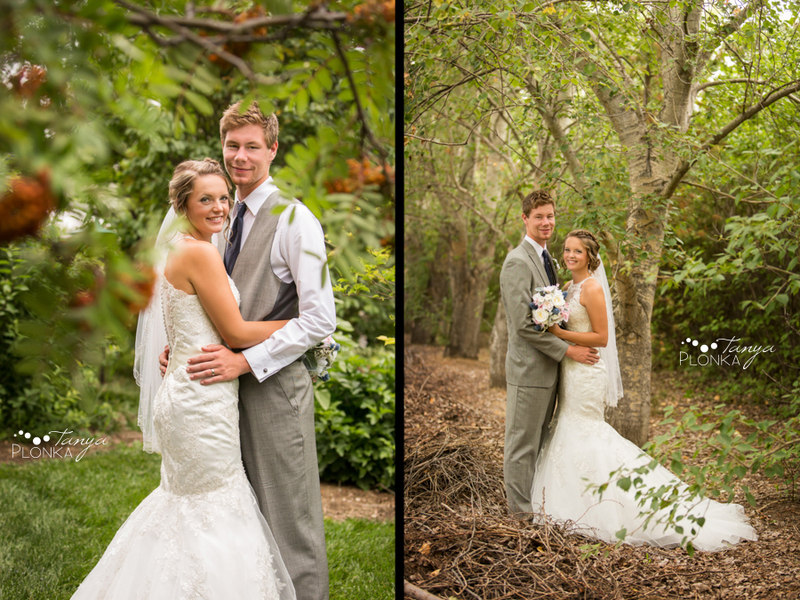 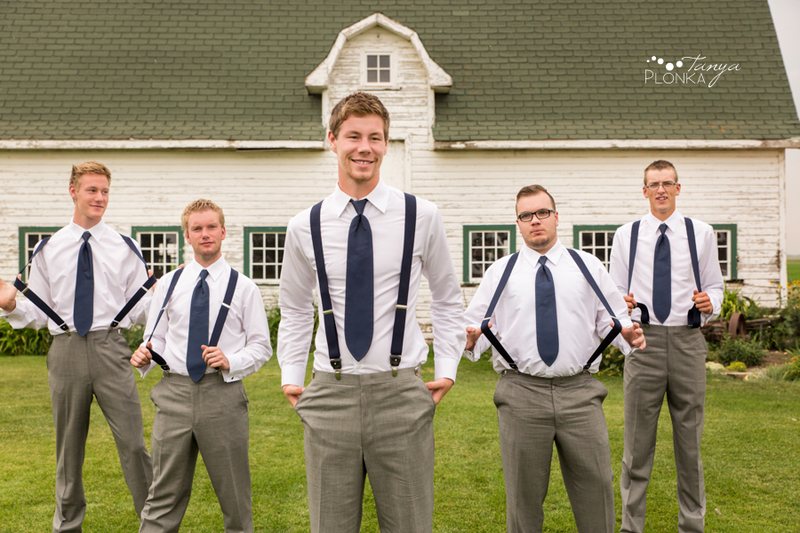 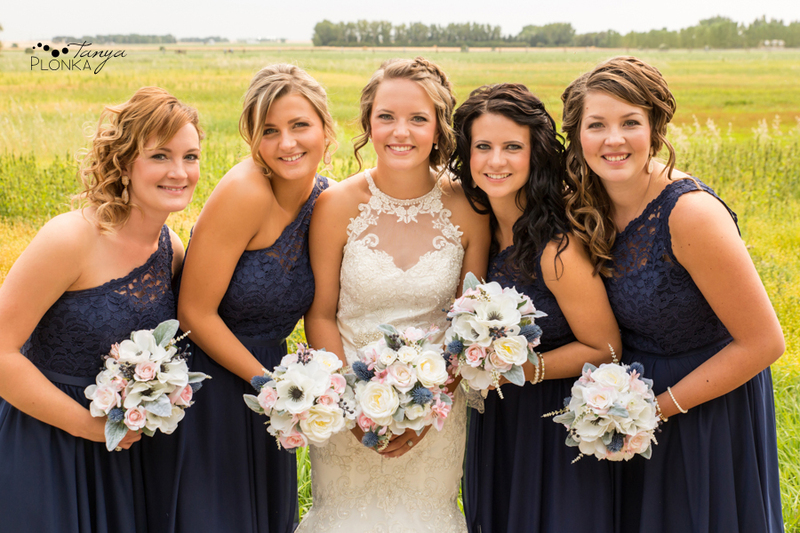 Derek and Tara-Lee held a beautiful Coaldale farm wedding this summer, making use of some amazing country locations in the area. 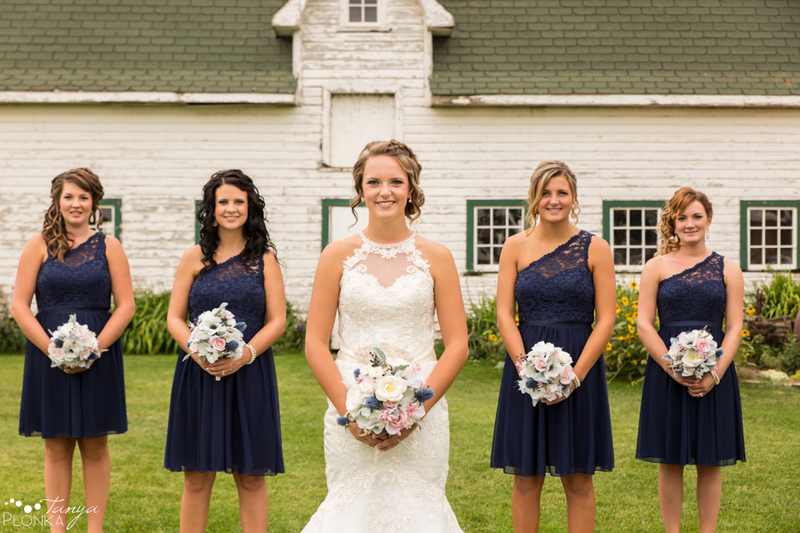 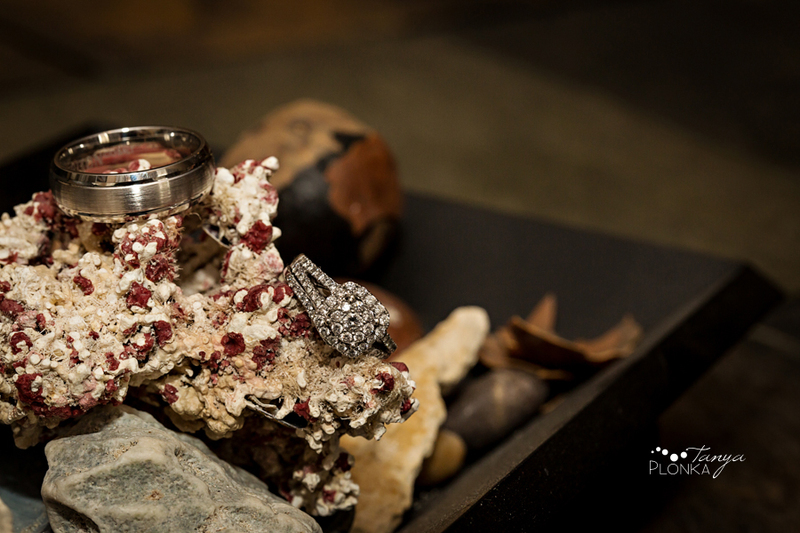 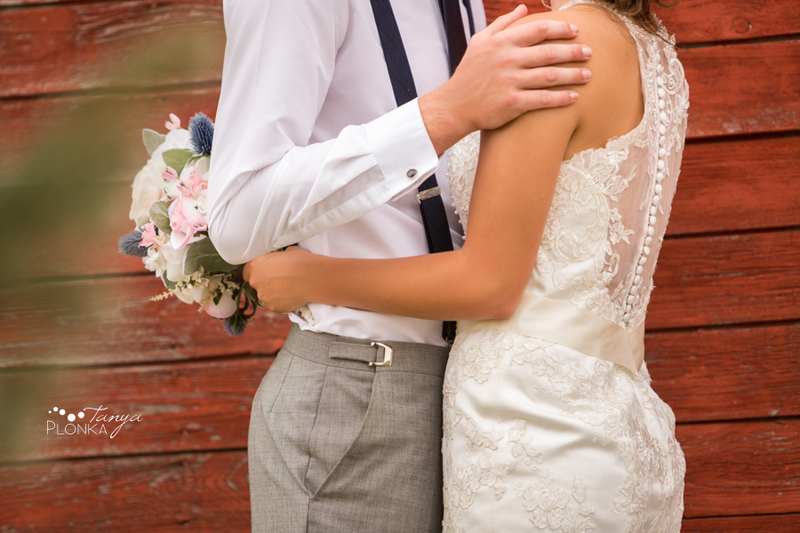 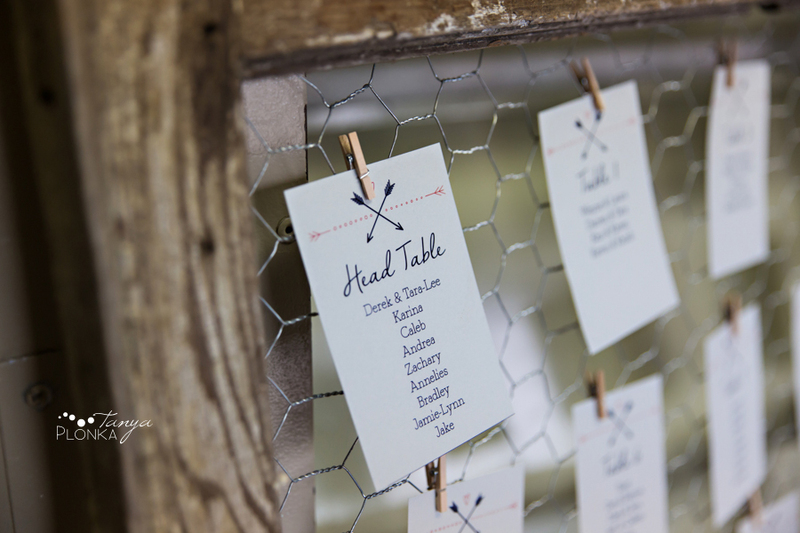 The rustic aesthetic was offset with classic touches of lace and soft pink. 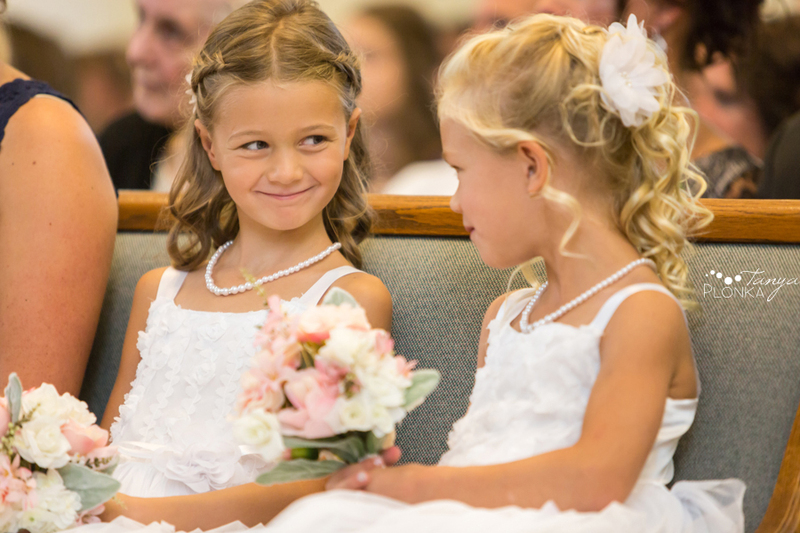 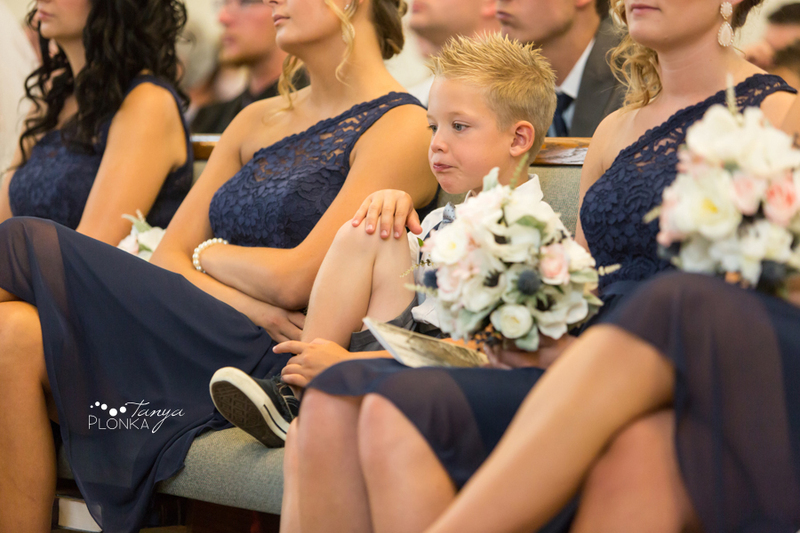 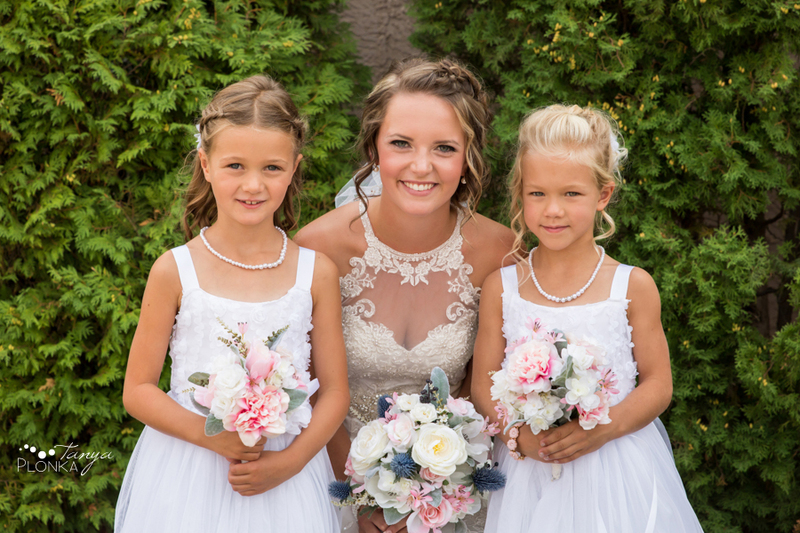 After the girls got ready at Tara-Lee’s house (including makeup done by Tara-Lee’s sister, Karina), they headed to the Coaldale Canadian Reformed Church for the ceremony. 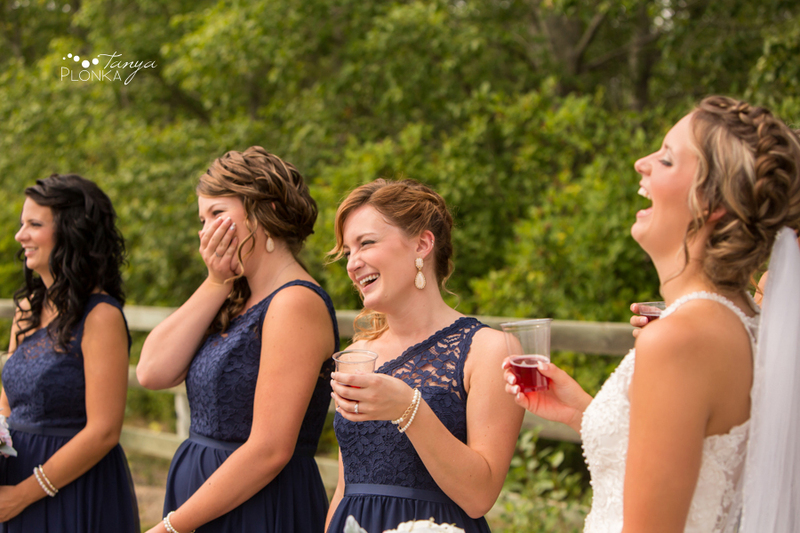 Between all the tears and Tara-Lee never being able to hold back her huge grin, there was so much happy energy there! 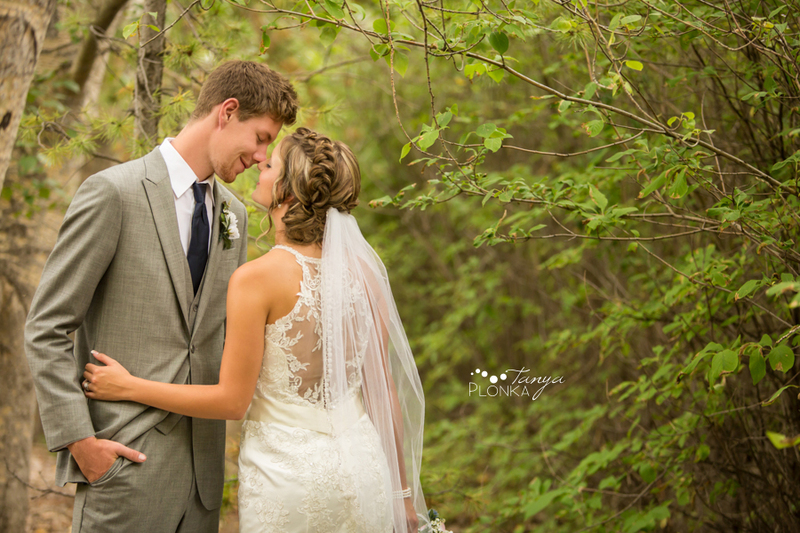 They both looked stunning and are always so blissful in each others presence. 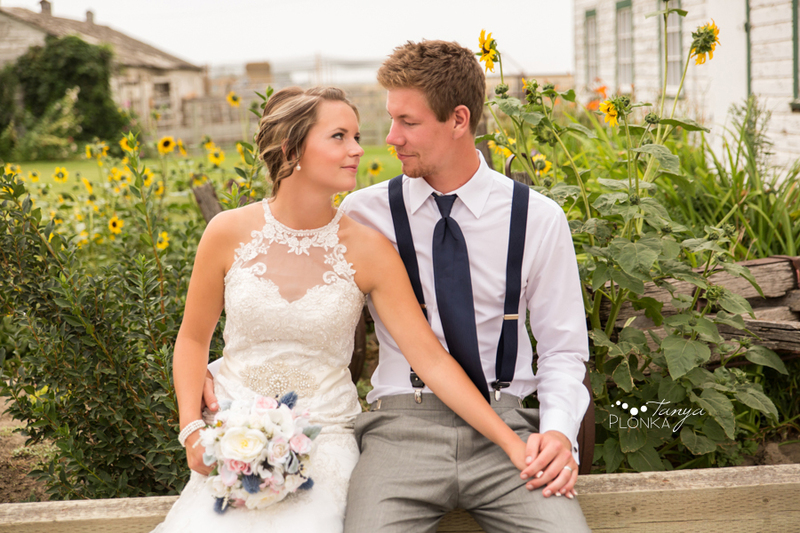 We had such a laid back day with them while everyone joked around and had fun at all the farms we visited. 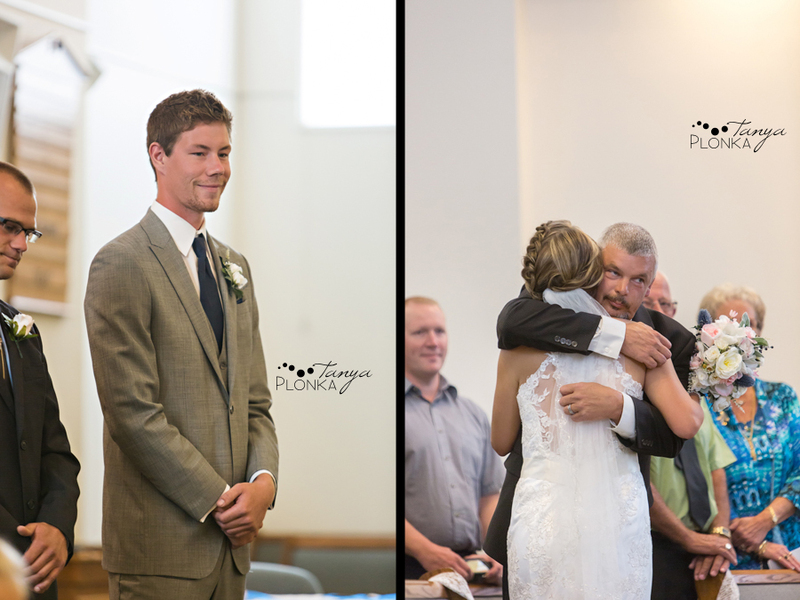 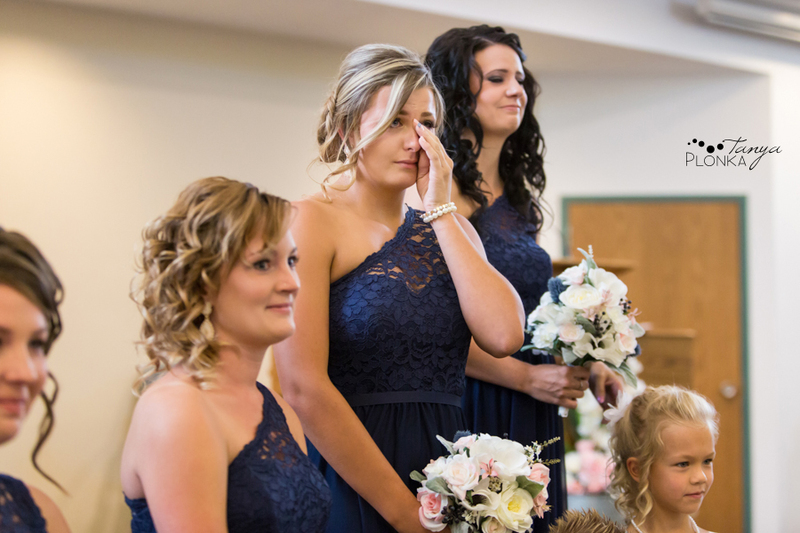 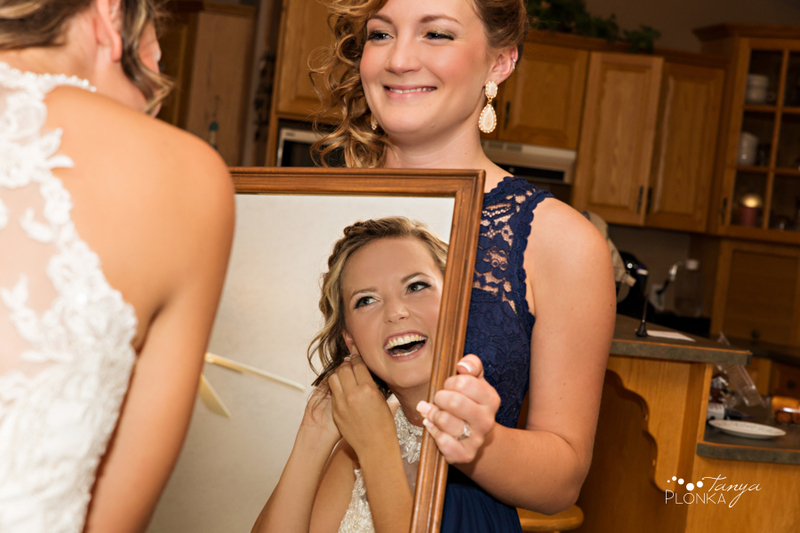 The bridesmaids (especially her sisters) had trouble holding back their tears as Tara-Lee entered with her dad. 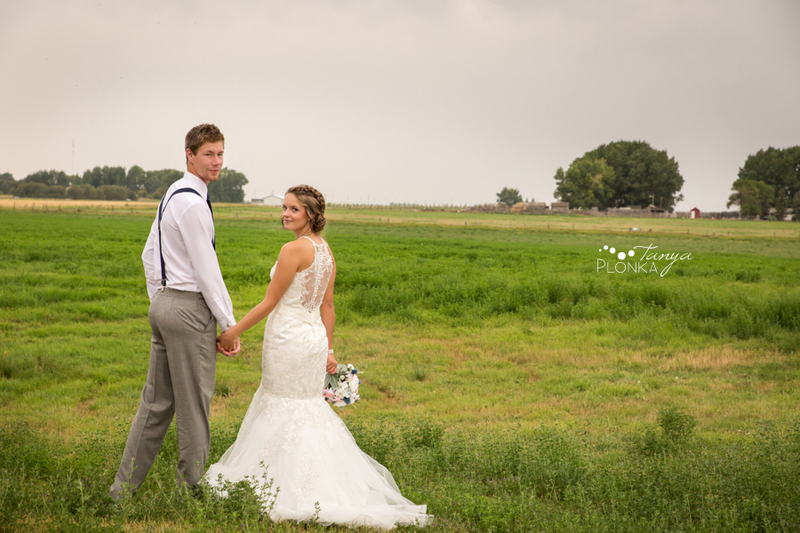 As soon as we were ready to go out for portraits, the sky clouded over to get ready for the storm later that night. 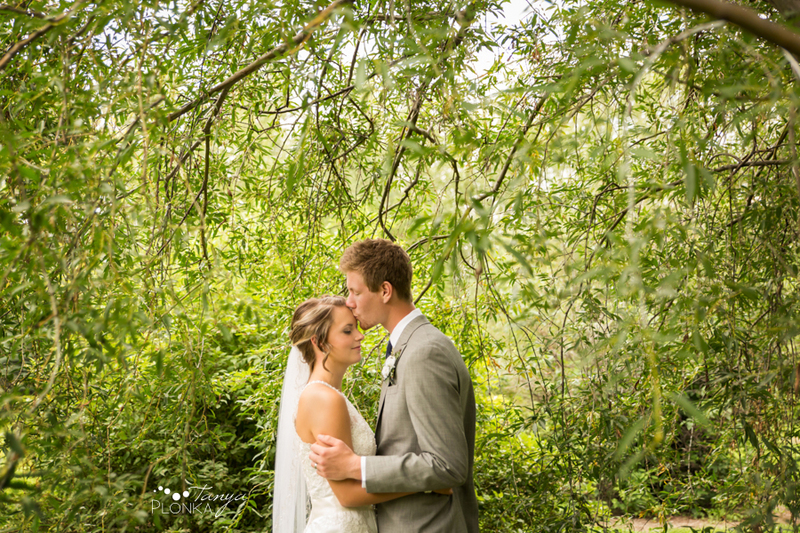 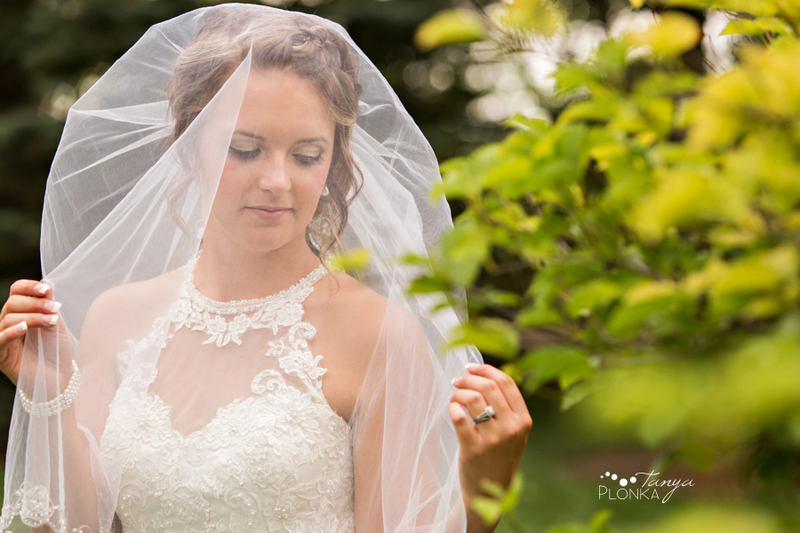 We were lucky and avoided all the rain, and instead ended up with soft, beautiful light! 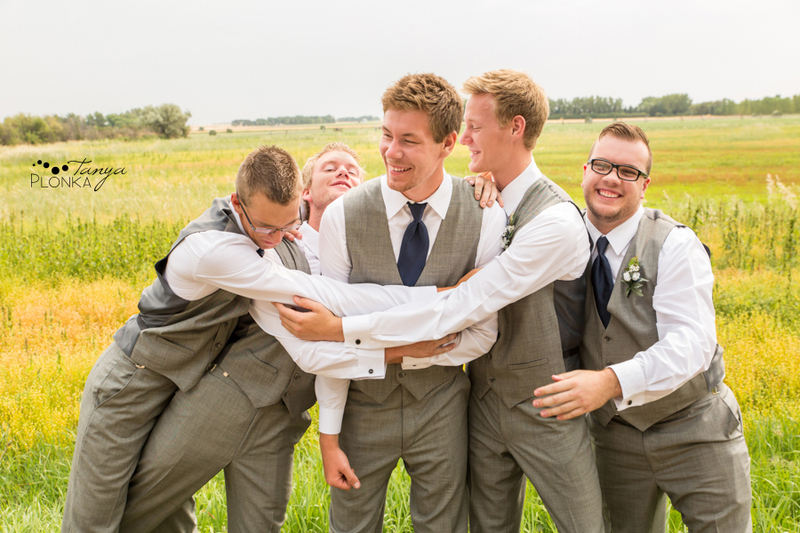 The guys were intense with their hug. 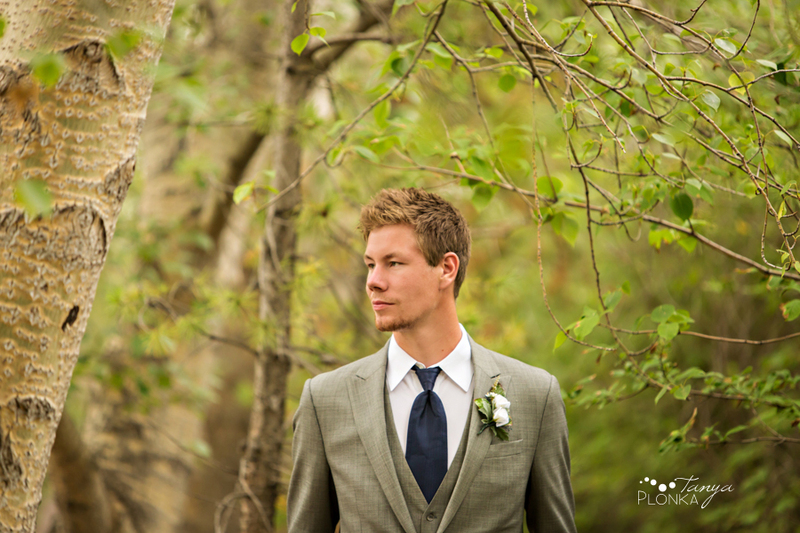 This spot was amazing! 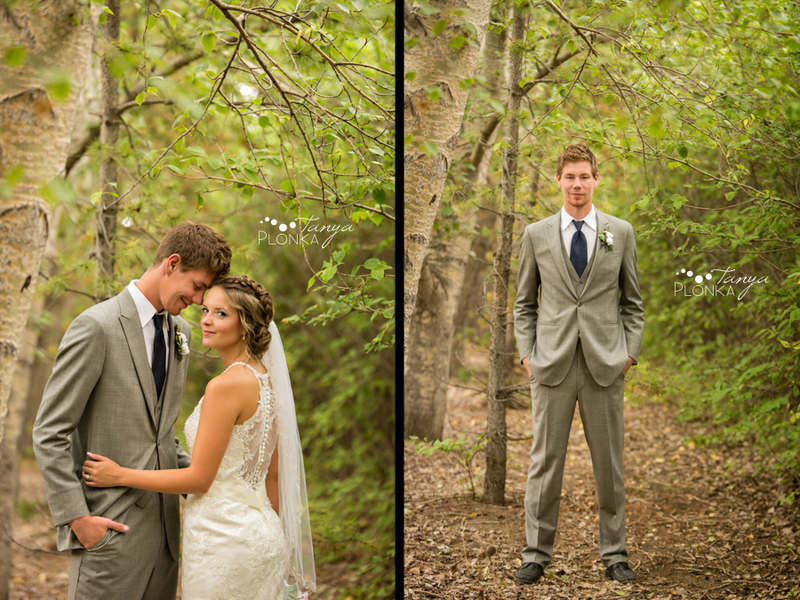 Despite being a small row of trees on a private acreage, it looked like a dense forest. 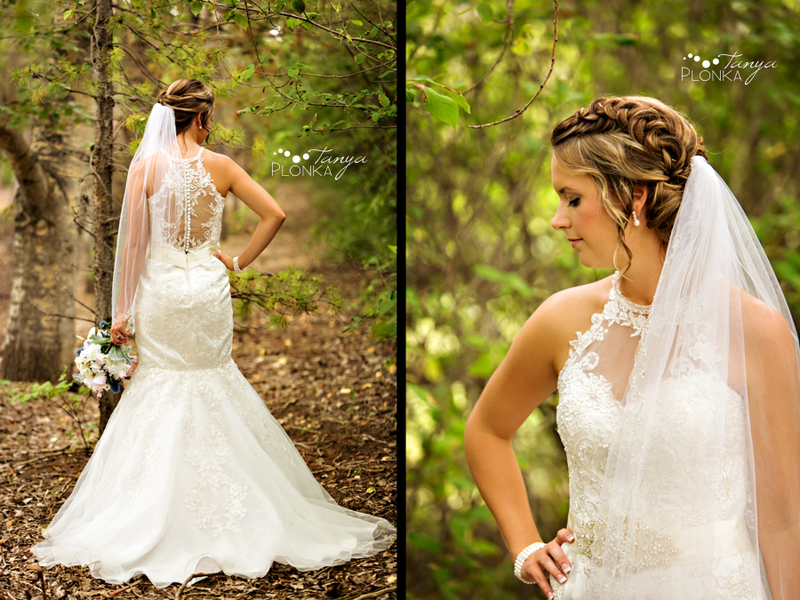 Tara-Lee’s dress had gorgeous lace openings on both sides. 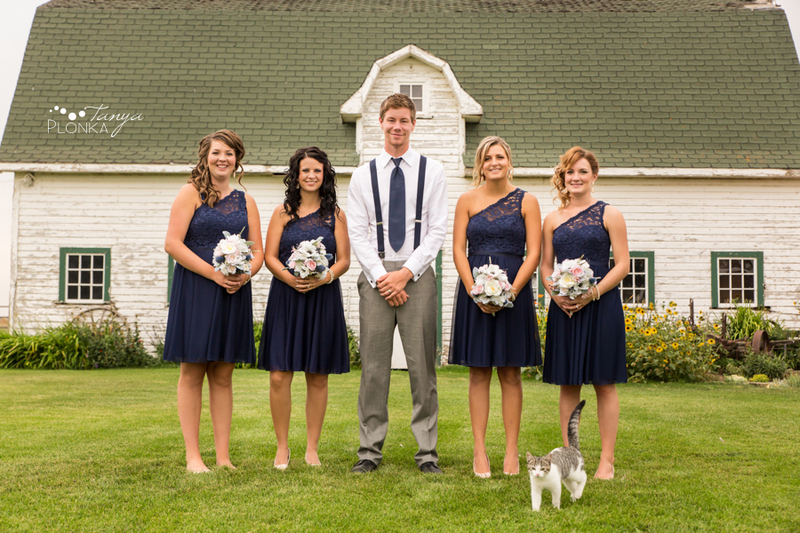 We made a kitty friend at the farm, who followed us around our whole time there. 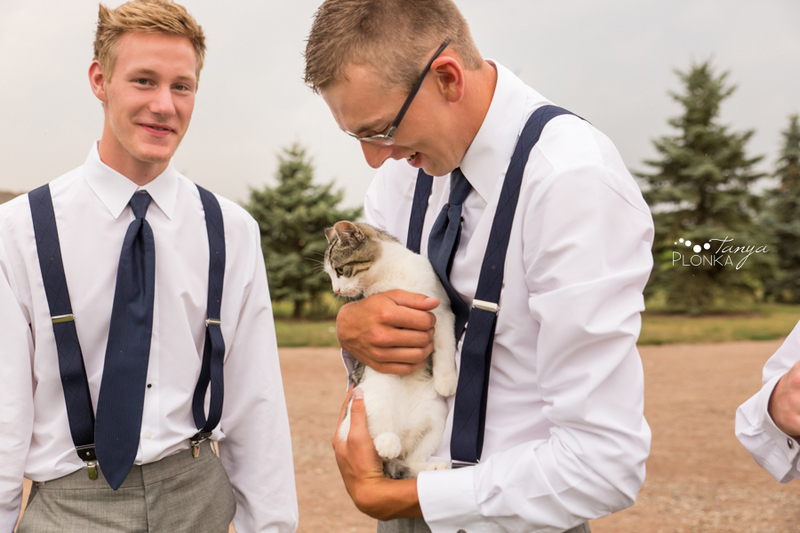 We seem to have a lot of wedding cats this year! 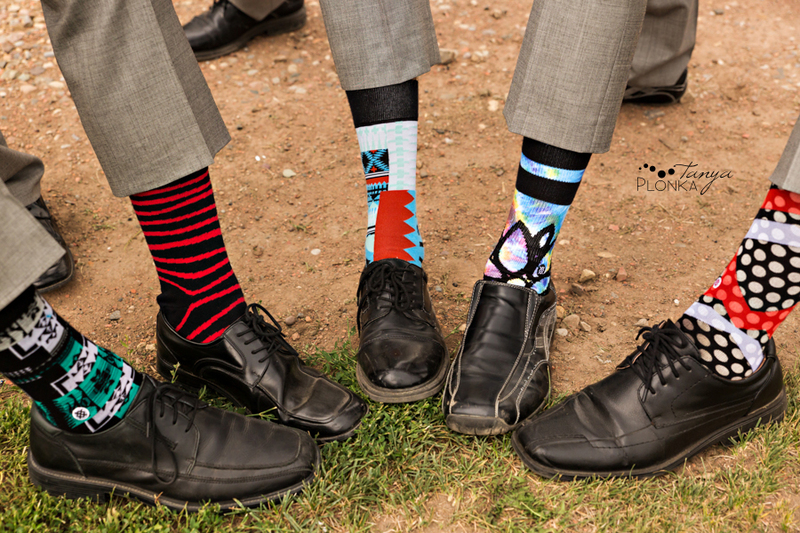 The guys each had unique colorful socks. 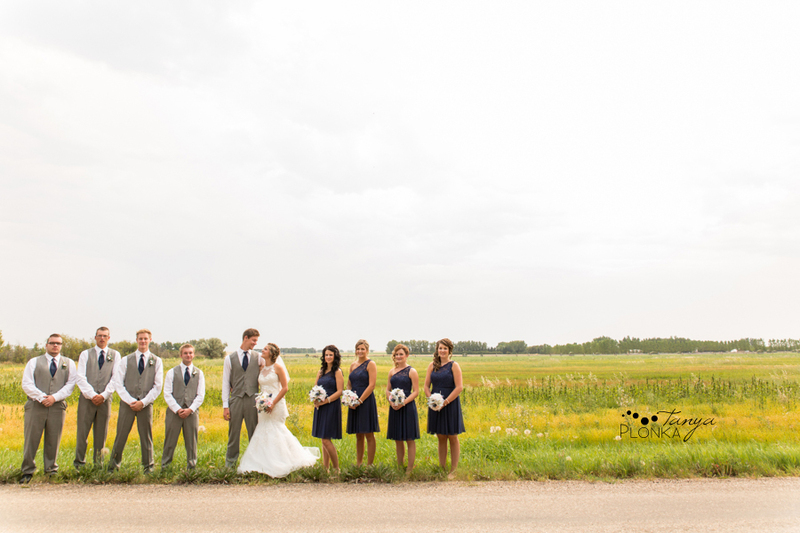 The fields around the farm were still so lush and green. 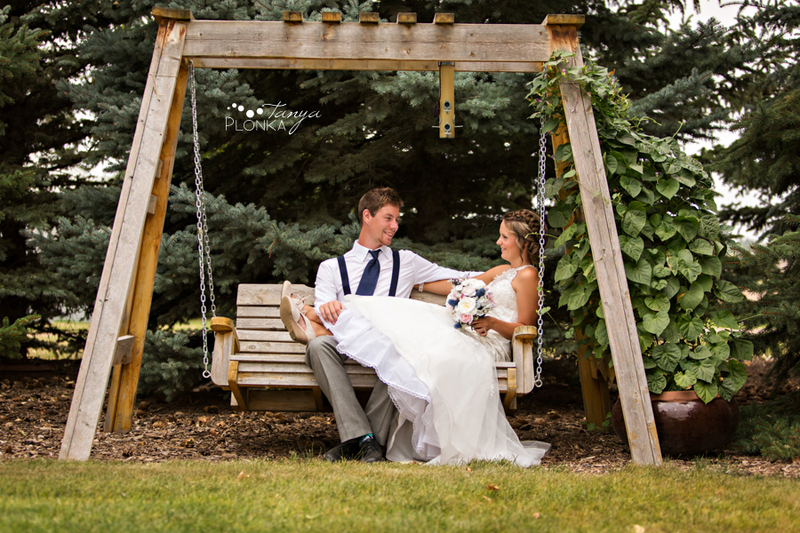 The old swing set had very uneven heights so Derek got to be a little shorter than Tara-Lee for once. 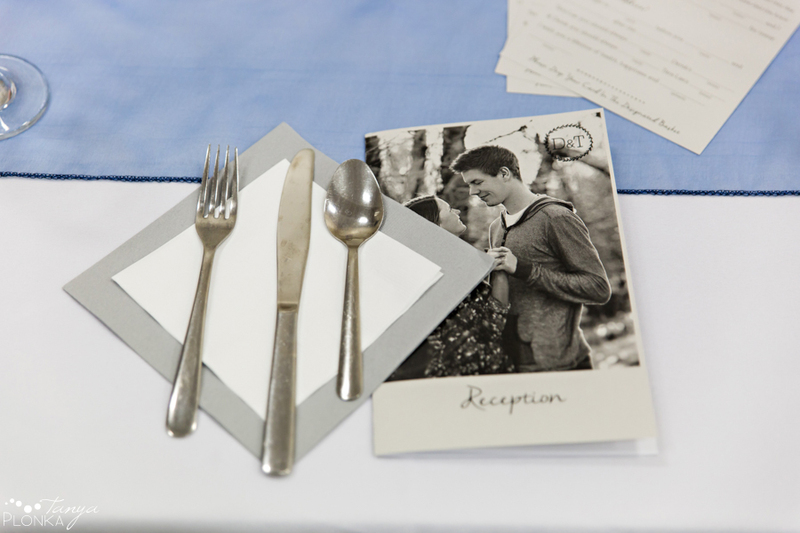 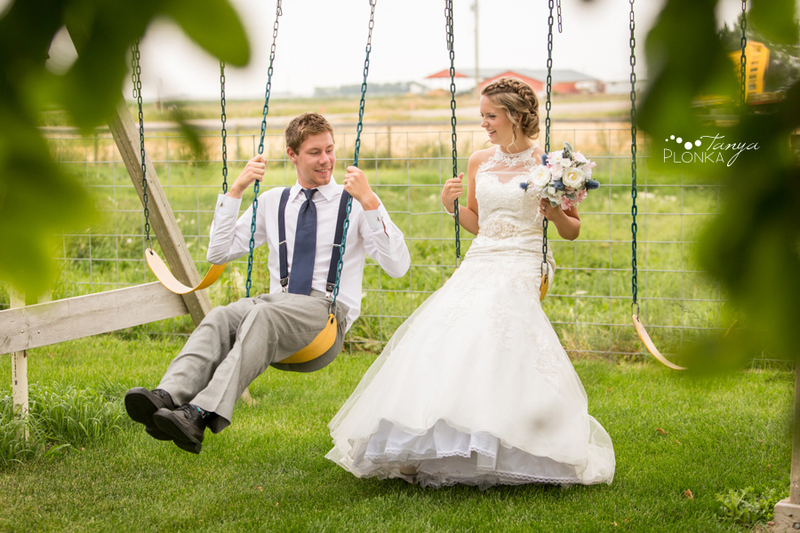 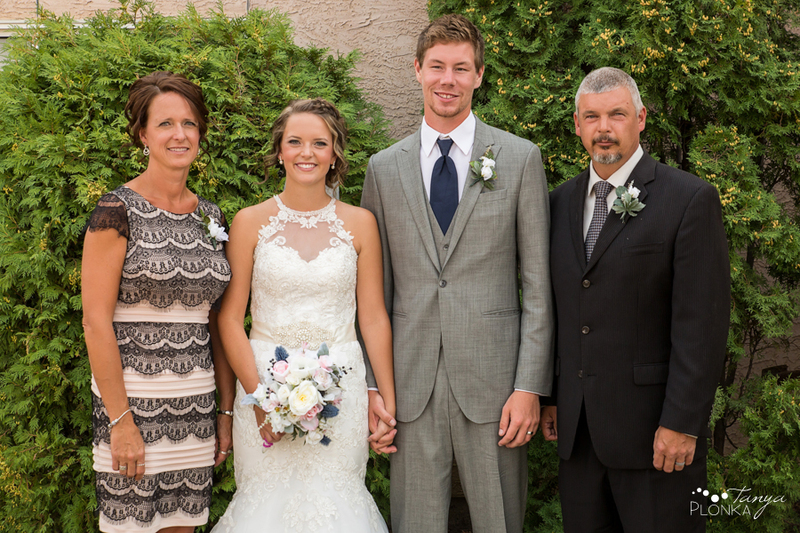 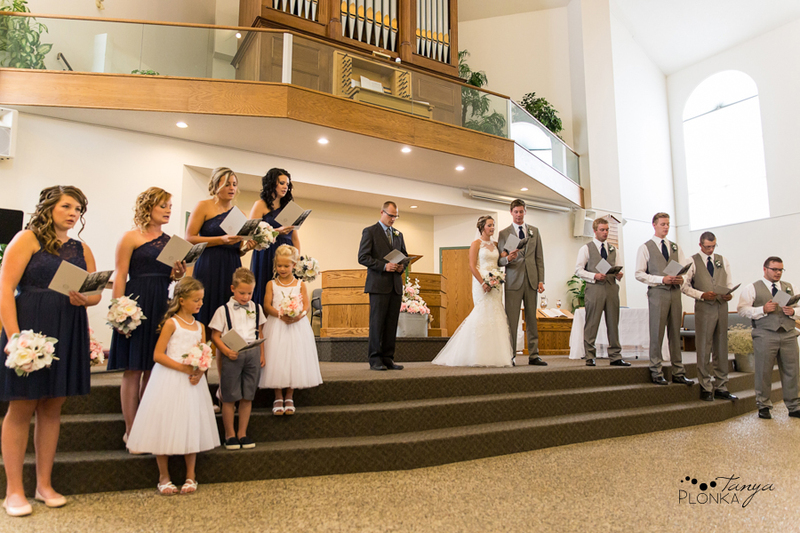 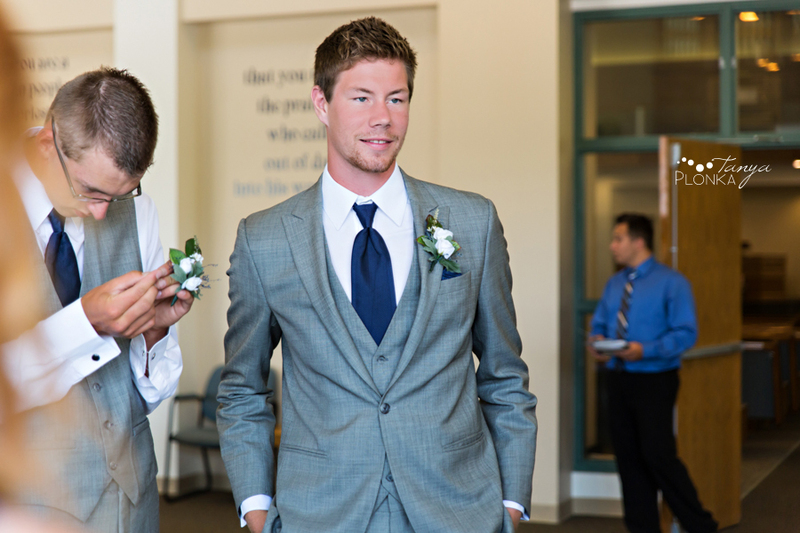 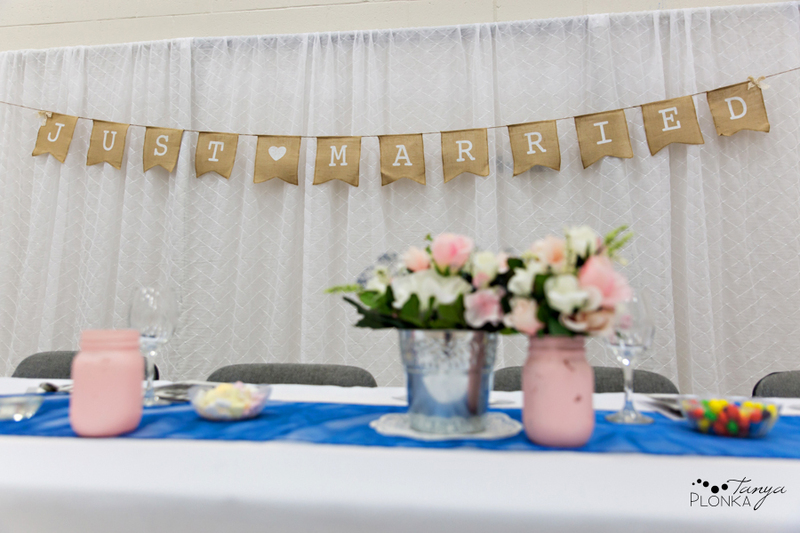 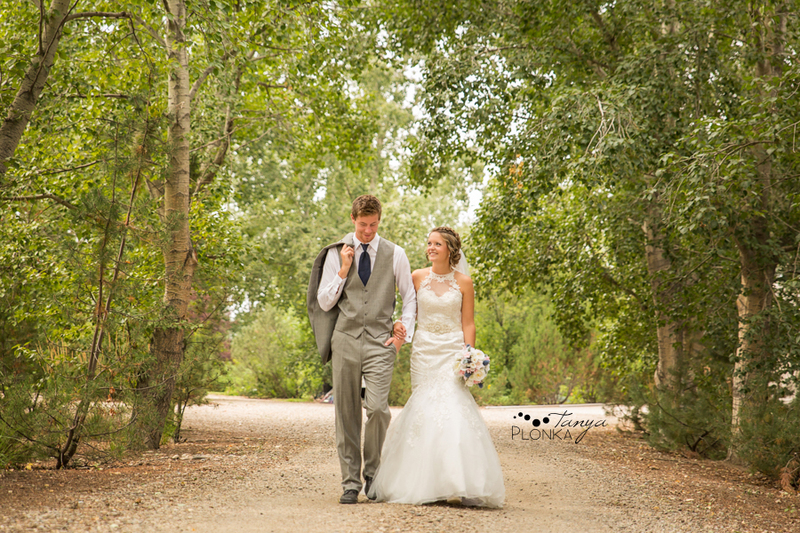 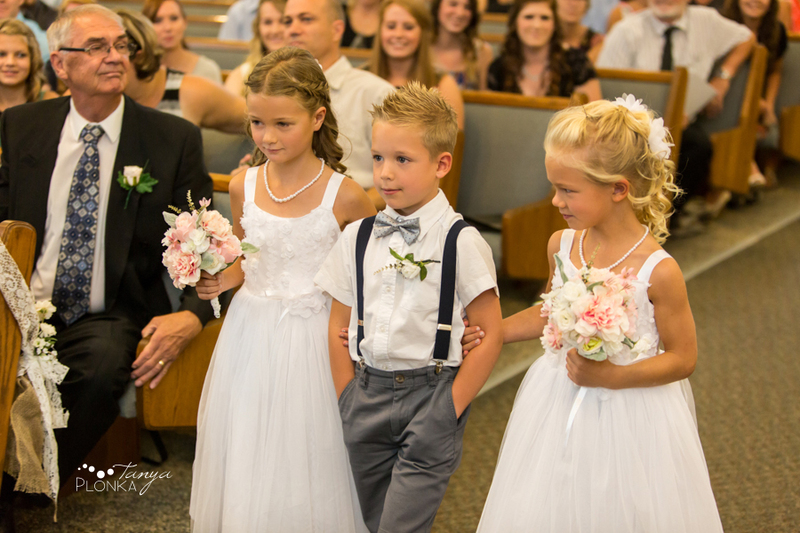 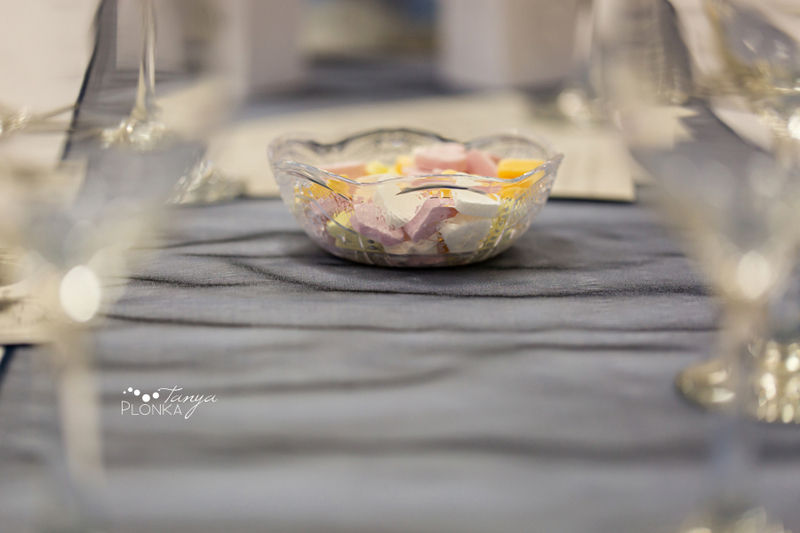 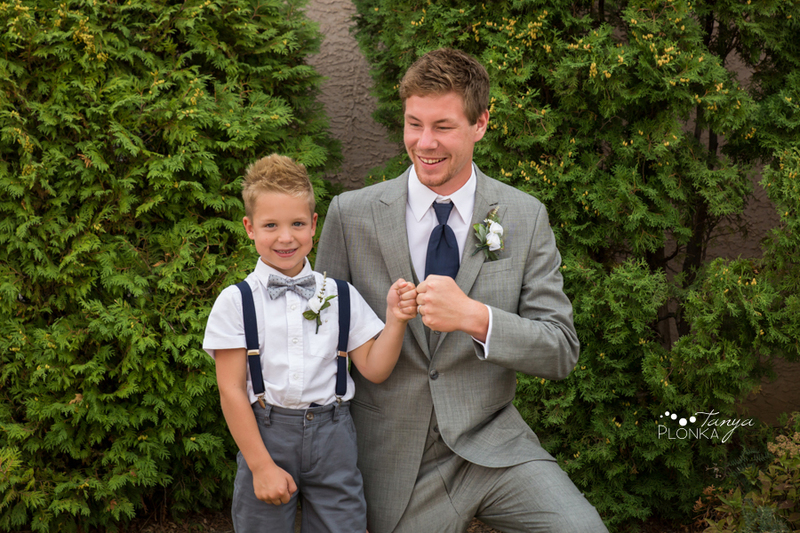 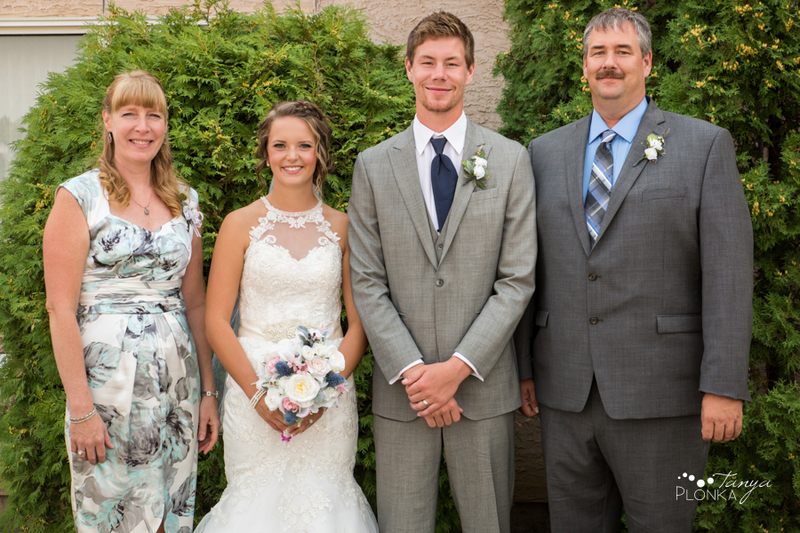 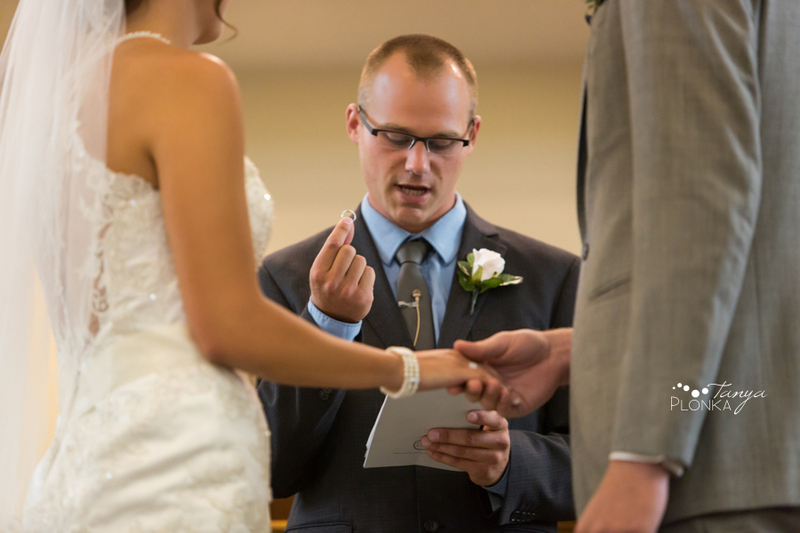 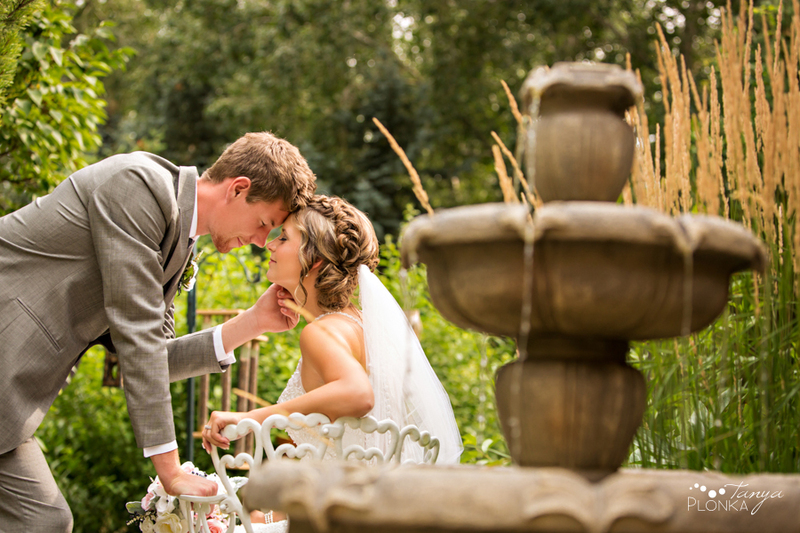 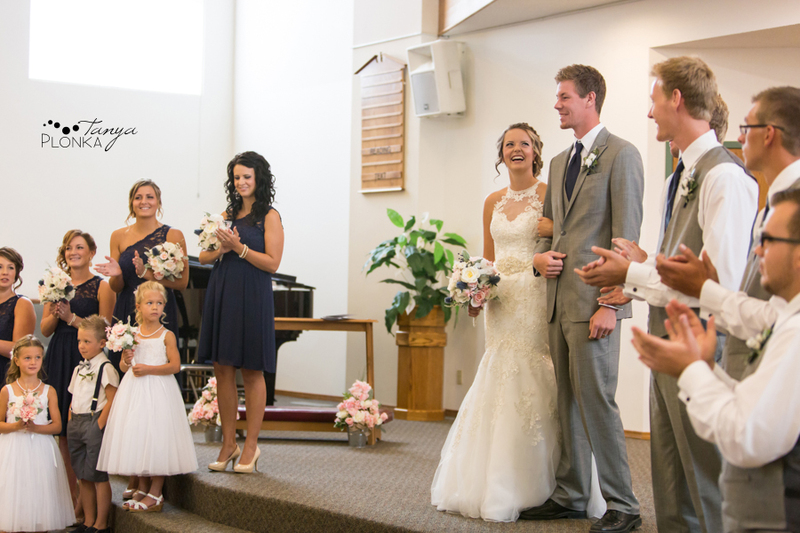 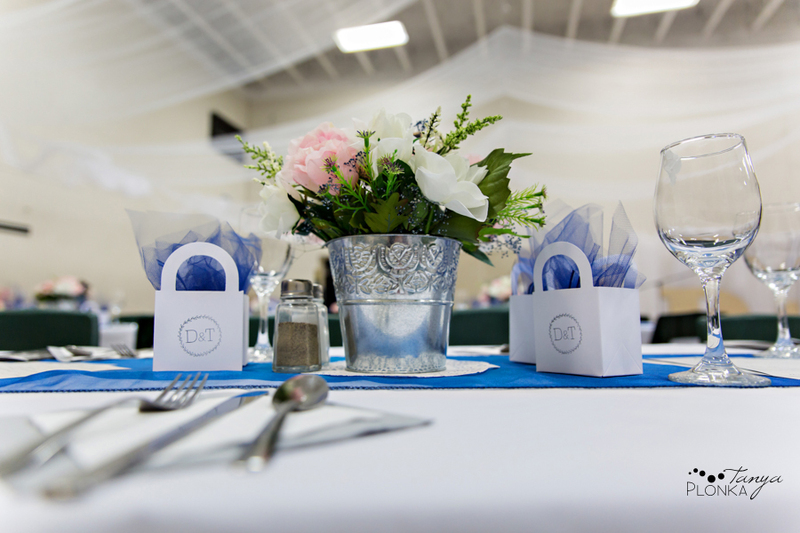 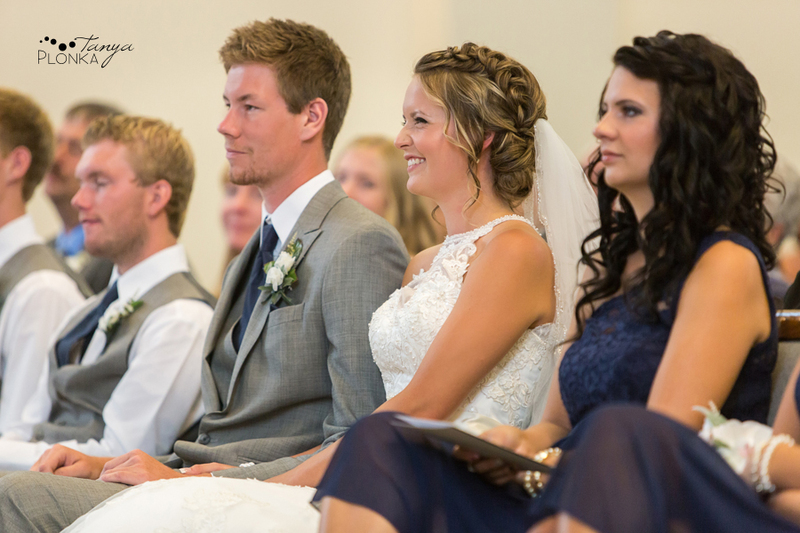 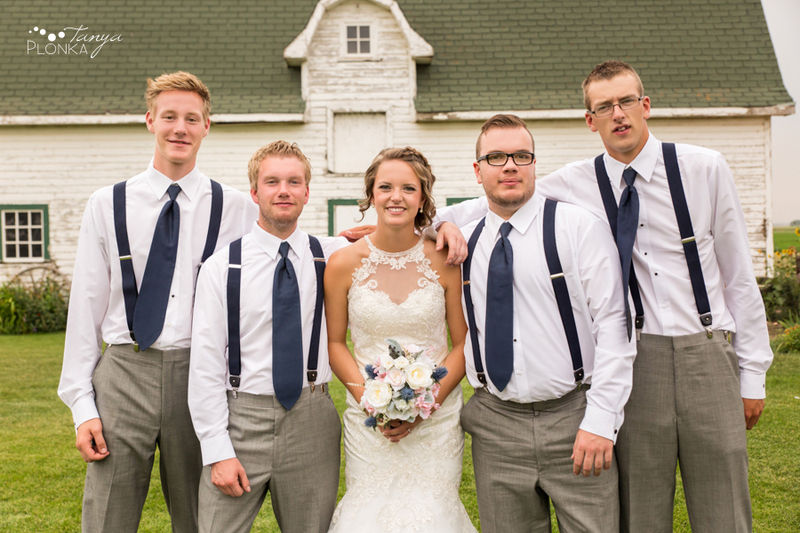 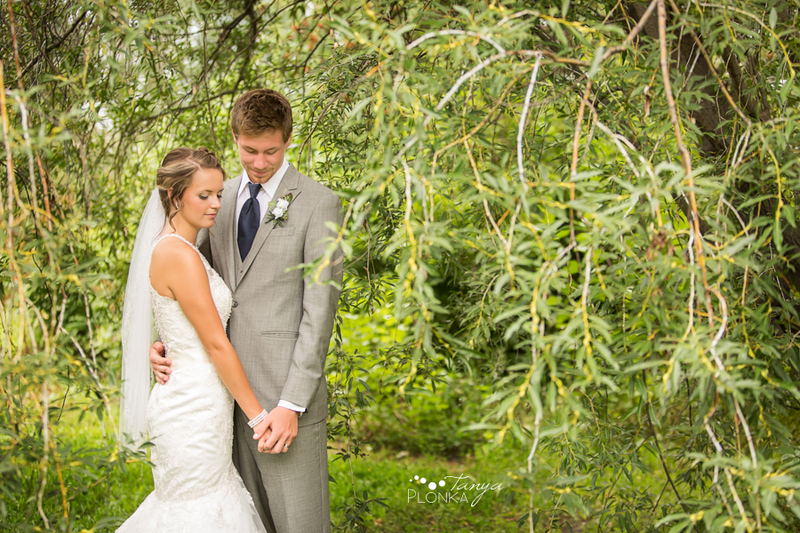 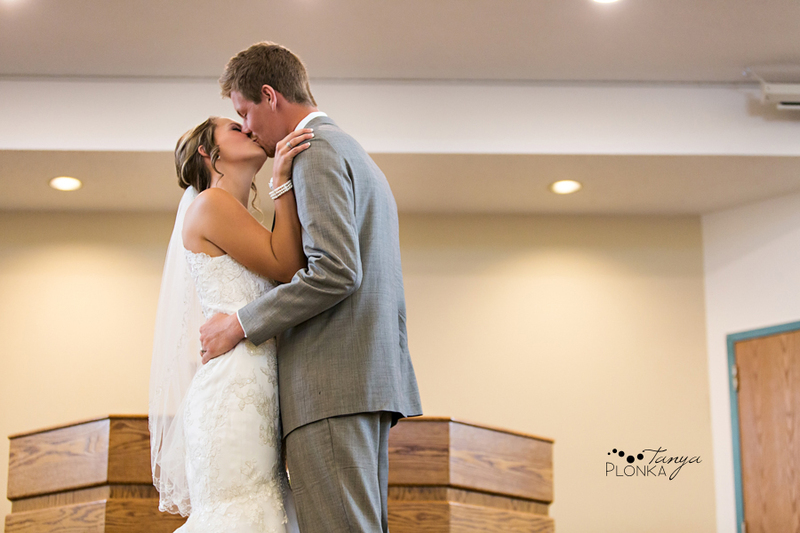 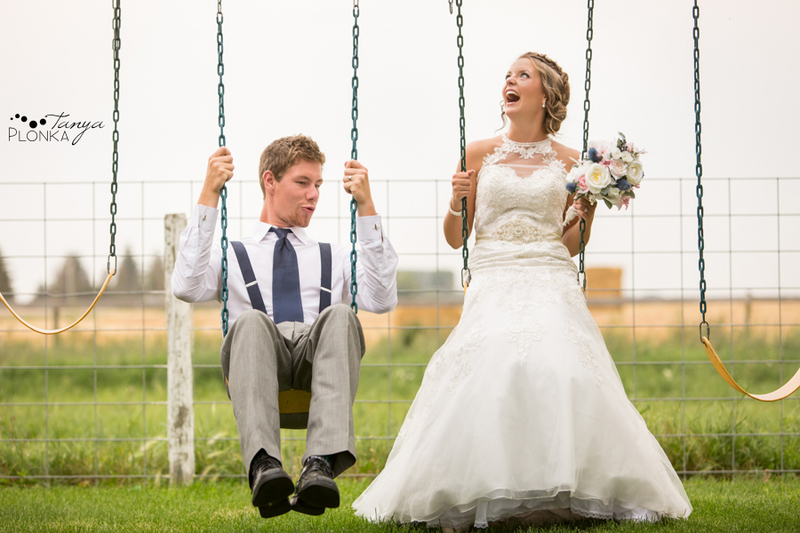 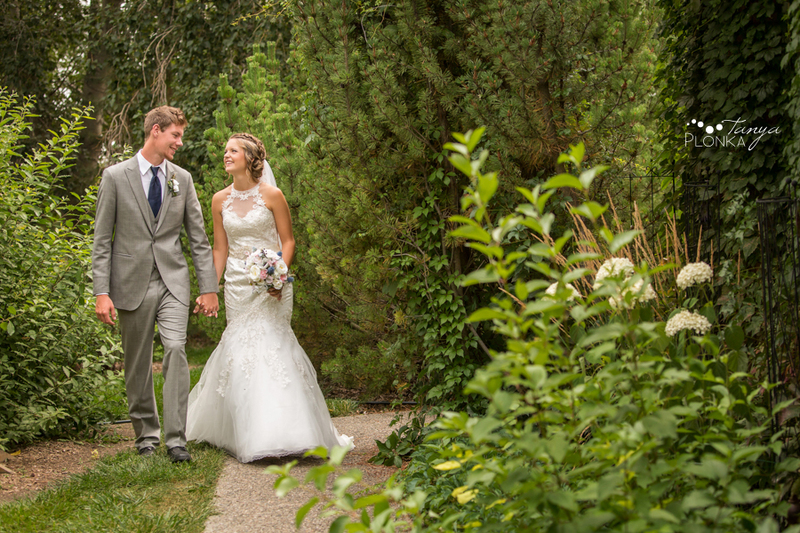 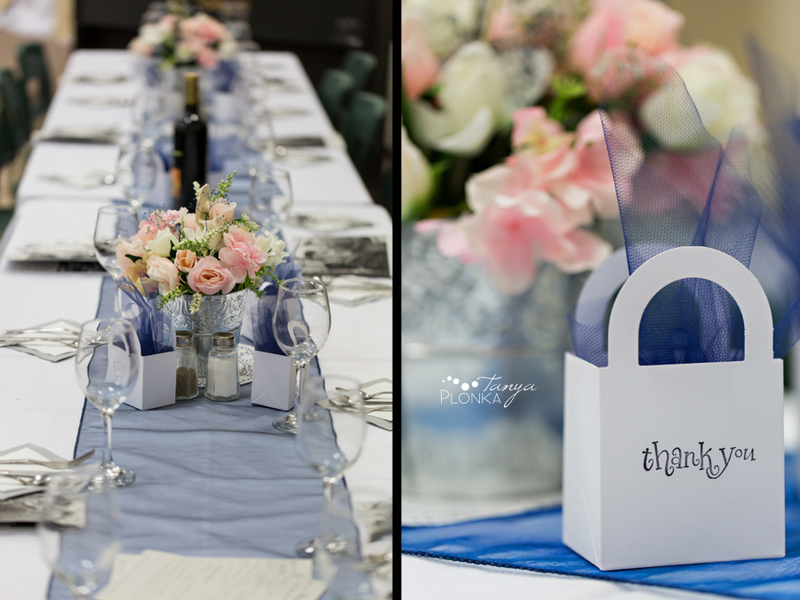 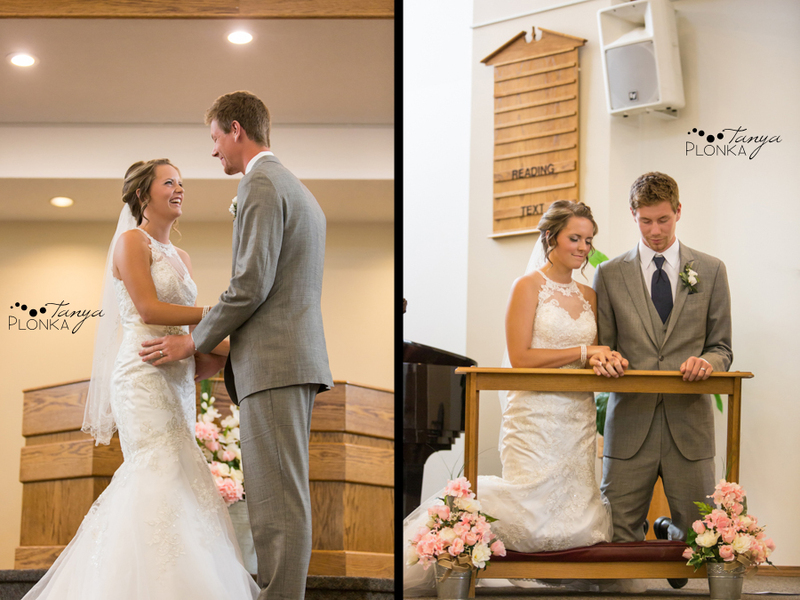 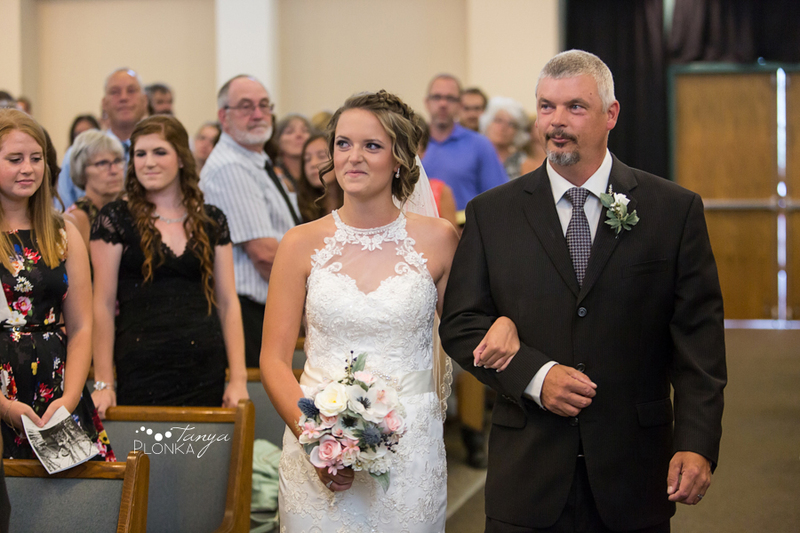 Their reception followed at the Coaldale Christian School.